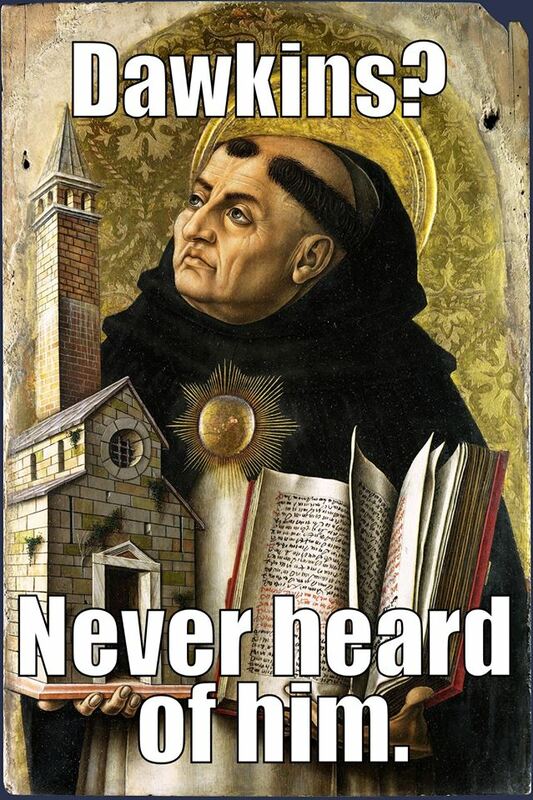 Just a quick reflection on this happy day for all Thomas Aquinas nerds. If you’re a fanboy/girl of the wonderful Aquinas and his Thomist legacy, but especially if you’re not, I want to recommend two books that put his thought, and his relevance, into a context other than the usual narrow-minded traditionalism (note the “ism” – tradition itself is wonderful, but viewing it or using it uncritically or absolutely is deadening) with which his work and name have unfortunately come to be associated. Both books are by Gerald McCool, S.J. The first is, From Unity to Pluralism: The Internal Evolution of Thomism (Fordham Press, 1999), and the second is, The Neo-Thomists (Marquette, 1994). Briefly stated (and with -gulp – recourse to Wikipedia, something I would never tolerate from students) what is often understood as the work of Aquinas is actually Neo-Scholasticism (note that I don’t subscribe to everything written in the Wikipedia link I have provided – my differences are made somewhat clear in what follows). The Neo-Scholastics worked in the nineteenth and early twentieth centuries by turning to the great commentators on Aquinas’s work from the sixteenth century, like Cajetan and Suarez. There they found what they thought would help them fight the wily onslaught of the Enlightenment and modernity, what with its newfangled notions of self-determination, egalitarianism, and critical thought (gasp!). This inherently conservative anti-modern Neo-Scholasticism (say that ten times fast) became the authoritatively approved and enforced approach to most, if not all, Catholic philosophical and theological education at the time. Eventually, the more progressively inclined revolted against the strictures of Neo-Scholasticism, a revolt that found voice in the reforms of Vatican II. 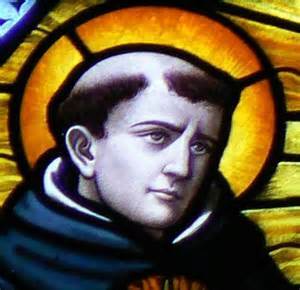 An unfortunate consequence was that anything associated with Aquinas or Thomism, with a few notable exceptions that I mention below, slowly became suspect to the majority of post-Conciliar theologians who embraced the modern “turn to the subject.” In this way, a more nuanced history of Thomist thought was for the most part replaced by a popular narrative in which Thomism is considered little more than a defunct and retrograde interest of the old guard. Even as what was understood as “Thomism” relied primarily on the commentators rather than any original engagement with the thought of Aquinas himself, the association of Thomism with traditionalism and narrowness became solidified, and speaking generally, continues to this day. It is this popular folk narrative that McCool’s work corrects through its well argued distinction between Neo-Thomism and Neo-Scholasticism. McCool posits that unlike Neo-Scholasticism, Neo-Thomism is focused on the kind of “historical research [that] began to recover the authentic thought of St. Thomas himself in its distinctive originality.”* This attention to history finds its beginnings in the works of scholars such as Marie-Dominque Chenu, and, in the words of McCool, “it was in that movement of recovery, extension, and application of St. Thomas’s thought, particularly in the twentieth century, that the Neo-Thomists make their appearance.”** McCool characterizes Neo-Thomism as bringing the original and dynamic thought of Aquinas to bear on the new interest in the implications of experience and historical studies. We can think here of the beginnings of a wide Neo-Thomistic tradition including Etienne Gilson, Jacques Maritain, Karl Rahner, Bernard Lonergan, and W. Norris Clarke (the last being one of my personal heroes). The history of Thomism in this way contradicts any presumption that Aquinas’s thought is inherently conservative or inevitably disposed to advancing a restorationist agenda. Instead, history discloses a rich variety within Thomism, such as Transcendental Thomism, Analytical Thomism, and Wittgenstinian Thomism, to mention some. In a Lonerganian twist (i.e., drawing from the work of Bernard Lonergan who in turn sought to transpose the work of Aquinas for today), M. Shawn Copeland. These are a small representation of what progressives (as opposed to restorationists) can do with the Angelic Doctor. After all, Aquinas’s work itself was once condemned by the Church, and he was considered progressive and daring in his time because he insisted on finding “truth” in the work of pagans, namely, Aristotle. So, let’s hear it for the boy, get on our Summa lovin’, and have a great feast day!